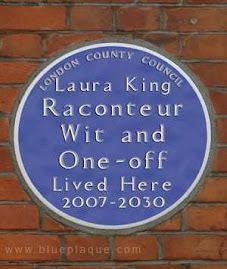 The Poet Laura-eate: Stop Gaslighting Me! A few days ago I was walking past a campus bus stop when I heard a young American couple arguing. I slowed my pace in case the girl needed assistance as she was quite a bit smaller than the guy and heard her yell 'Quit gaslighting me! We're done!' before stomping off. 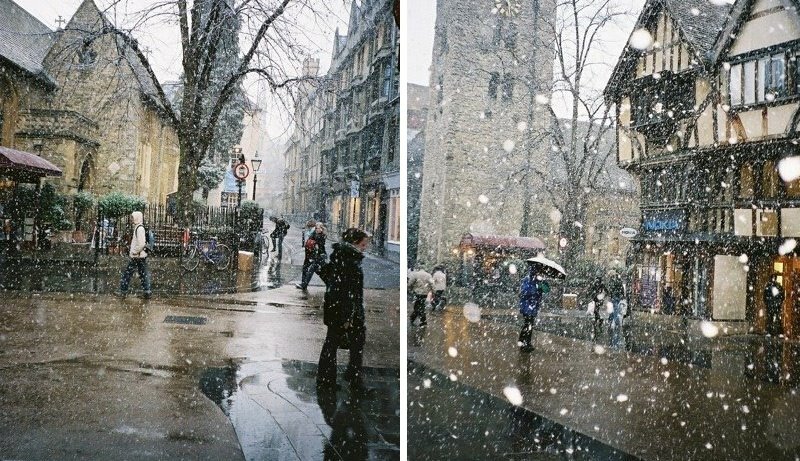 The boyfriend looked shocked and eventually walked slowly in the opposite direction. Impressed by the female student's assertiveness I found myself intrigued to know what 'gaslighting' meant and looked it up (well you've got to keep up with the lingo when you work with students!). Were these two part of some obscure Victorian re-enactment society or something? 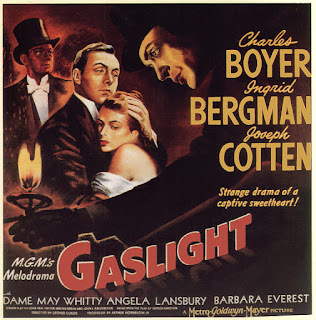 I was astonished to find that 'gaslighting' means psychological abuse and takes its name from a period drama film called Gaslight above (1944) in which a man tries to make his new wife think she is going mad by constantly interfering with the gas lighting, among other devices, and then causing her to question her own sanity by denying he has altered anything. Which reminds me of how Lord Lucan apparently terrorised Lady Lucan in similar vein, trying to get her to accept that any odd incidents were all in her mind as part of his campaign to get her committed as an alternative to an expensive divorce and her being awarded custody of their children. We know the rest of the story from there when that didn't work. 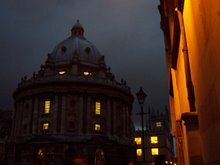 In days of yore, many a man on the make would marry a wealthy widow for her money (both the woman and all her worldly goods becoming his goods and chattels upon marriage) and then seek to have her committed, (divorce being scandalous and ruinously expensive and murder being a capital crime). It was only post-WWII that divorce became possible and available for the majority. 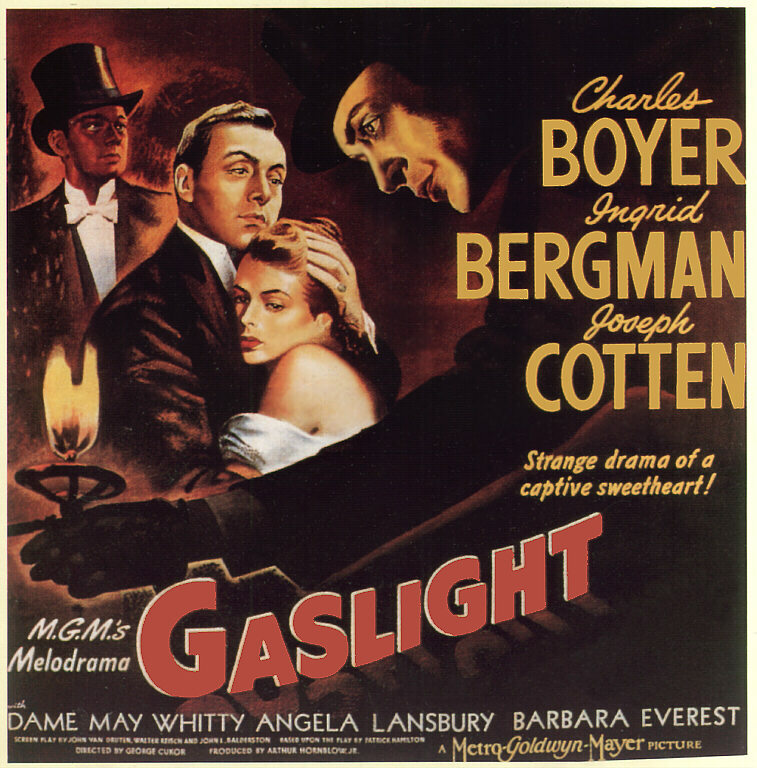 So what exactly IS gaslighting and how does one recognise it? The first thing I read is that it's far more common than we think The second is that you can be gaslighted (or should that be 'gaslit'?) by anyone - a parent, a friend, a boss, a partner, a business associate. It may occasionally be accidental such as a parent snapping 'Now look what you've made me do!' to a child who interrupts them at an inopportune moment, but usually there is an intent to undermine or manipulate someone at the heart of it. It always starts slowly and gently builds up, usually over a long period of time so it will be someone who knows you well and knows what your buttons are. You are constantly second-guessing yourself and making 'silly' mistakes if you don't double-check everything. You feel continually wrong-footed or that you are being dealt curve balls. There may be a dim awareness that someone in your life always has to have the upper hand or the last word, as if to keep you in your place, but if it's trivial stuff or the rest of them seems to be 'a good person' you let it pass as it's not worth mentioning. You start to question if you are too sensitive and emotional. Or not sensitive enough. You often feel confused and demotivated and have a hard time making simple decisions. You find yourself apologising far too often. You can’t understand why you’re unhappy or having feelings of nerves or dread you can't quite put your finger on, or for no apparent reason. You often make excuses for your partner’s behaviour (if it's your partner). You feel like you can’t do anything right or that anything wrong that happens is all your fault, even if it isn't. Your abuser will use phrases like 'I am only doing/saying this for your own good' and convince you that everything they say/do is with your best interests at heart. They are often paternalistic in attitude towards you so beware the 'father figure' - unless you are in genuine need of one. Your run down state may result in health issues such as repeated digestive problems, colds or throat infections - usually signs you are having trouble digesting what is happening to you or speaking up for yourself. A bad back may indicate feeling a lack of support. Physical symptoms are often directly related to your feelings. You may start to become socially isolated as your confidence evaporates or your abuser may encourage you to distance yourself from people, particularly loved ones, who might notice you've changed and attempt to rescue you or de-program you. Your abuser will encourage your dependence on them, typically with the belief that they are the only one you can trust. Worst case scenario: You will question your entire sanity, giving the other party complete power over you. A parent promises their child an ice cream if they wash the car and then later that day when the child has washed the car and asks if they can have the ice cream, the parent denies ever promising it. A woman kicks or punches her partner in his sleep on a regular basis but claims it is an accident or he imagined it. A man has a row with his girlfriend over a trivial matter, but half an hour later denies it ever happened. A woman pretends to like her partner's family and then comes up with all manner of trivial excuses for cancelling visits until much time has gone by and the partner suddenly realises they no longer see their birth family. A boss promises a promotion and then keeps adding new caveats and conditions which have to be met before the employee gets it. A friend does you a favour and then regularly reminds you of the fact indefinitely, conveniently forgetting you have also done plenty for them. So if you've experienced any or all of these signs/types of scenario in someone's orbit, ask yourself if you are being gaslighted. I know I have been at various times in my life and I now realise by who and what pattern to look out for. Finally serious gaslighting is apparently almost exclusively the preserve of the narcissist, so it is most informative to familiarise oneself with this personality type. We hear a lot about Health and Safety and its unquestionable importance but in this modern world of skyrocketing mental health issues, I think we need to pay a lot more attention to emotional health and safety, both our own and that of those around us. And we need to do this for 'our own good' as well as theirs. We all know the rudiments of bullying, but seldom the subtleties of this dark art and what motives may lie behind it.